God is so good! 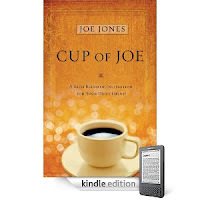 Today, they have released Cup of Joe on Kindle and Barnes & Noble Nook! Cups are being poured out every day! So excited to share a cup with ALL of you! Go to the link on the right side of the blog and get the e-book today!